For Emily Thompson and Ernest Reid, leading bartenders from Australia and Europe respectively, the entire bartending community has now tangibly evolved along with a booming cocktail culture in India. With the cocktail culture skyrocketing in other parts of the world and with well-travelled Indians experiencing this, the demand has now reached all the way to Indias non-metros, they say. As local brand ambassadors of scotch whisky brand Dewar's in India, both Thompson and Reid will be individually responsible for certain key markets in the country. In an e-mail interview with IANS, Thompson said that with more avenues making travel an affordable indulgence, an increasing number of Indians have been globetrotting and bringing different cultures to a huge melting pot. "The discerning Indian consumers are now on a constant lookout for experiences that are new, globally inspired and exclusive. This particularly has helped evolve bartending from a mere 'open a beer can' culture, to a rather experimenting one that involves innovations with spirits, for both- the eyes and palate of the drinker. "Bartenders are taking more pride and effort in reinventing their roles and craft, encouraging patrons to trust them and their expertise. With cocktail culture booming in India, the entire bartending community has now tangibly evolved," she said. On the other hand, Reid says the current cocktail culture in India has seen a boom like no other era. "This is mainly courtesy young Indians travelling and experimenting with their palates. With the cocktail culture skyrocketing in other parts of the world and Indians experiencing this global cocktail culture, the demand has now watered down all the way to India's non-metros. "The industry is at an evolution stage and the bartending community, along with the consumers, are all getting there," Reid told IANS. The two will spend over a year in different cities of India getting people to experience Dewar's portfolio of double-aged scotch and classic cocktails. Not only do they bring their experience from other global markets, they also have an interesting journey to narrate. Asked for their take on how Indians are adapting to global cocktail trends, Reid said that having worked in other global markets such as Europe, he doesn't think "adapting is the right word". 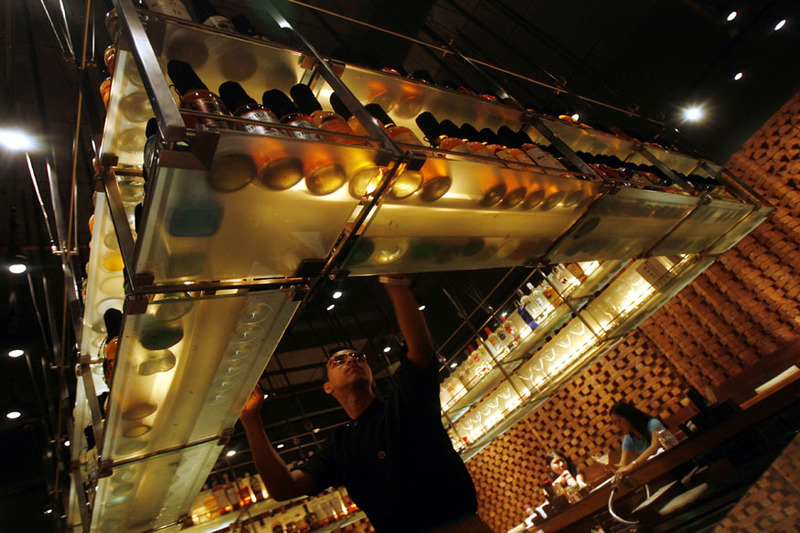 "The Indian drinking culture needs to experiment more with drinking routines and preferences. Due to the taste preferences, the Indian palates are much more complex than the European palates. Indians need to be more experimental with the idea of having spirits and scotch in certain formats. The culture is slowly evolving, and I am glad to be contributing in my own small way," he said. Thompson added: "So far in my travels here, I've found many places that offer mocktails, adding alcohol to these is just an expansion of flavour for the palette. Taking into consideration the complexity of food, Indians are really picking rich and flavour some aspects of international drinks to suit their vibrant culture." Being a girl how difficult or easy was it for Thompson to make her career in bartending? She said: "Globally, it's a usual notion that bartending is the skill and space for men. However, over the years a lot many women have shaped their existence and changed this phenomenon in the cocktail bar scene, by not only curating some delectable cocktails, but also representing some of the biggest brands. "From where I come, Australia has a rich history of strong women in bar roles. I've been privileged to have learnt and grown in a supportive and encouraging work culture...I feel that it's all about living true to your passions and dreams at the end of the day. If you have the courage and the belief to follow your dreams, your gender should never hold you back."